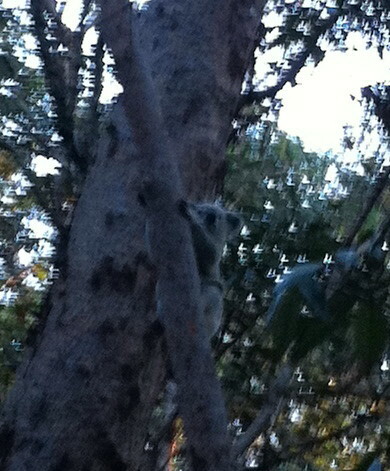 Thanks to park visitor Barry we have another confirmed Koala sighting near Gertrude Petty Place. 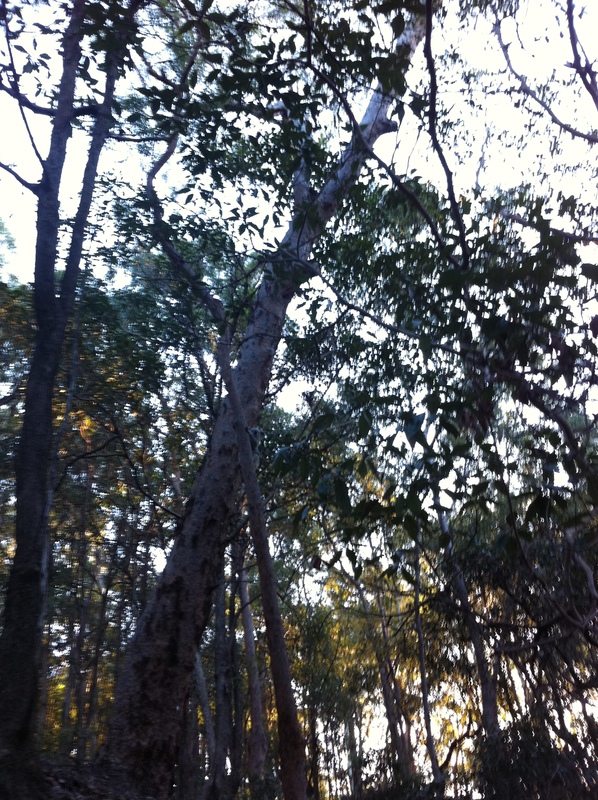 Can you spot the Koala? Scroll down. Barry was a little embarrassed about the quality of his photo, however, given the height of our furry friend, I think this is a fantastic photo for someone using a mobile phone! Well done Barry and thank you for passing this photo on with the location details. We are starting to build a wildlife sighting database for our Reserve, so we really appreciate information about sightings with location information and ideally digital photos which automatically give us date/time of sightings. I was particularly pleased to receive this photo today and then find that today’s ABC Bush Telegraph program, was also about Koalas. Given our efforts to protect and restore this unique bush habitat in middle of suburbia the segment on The history of Europeans and the koala was particularly interesting. The interview with Ann Moyal, author of new CSIRO science history book The Koala, had particular impact. Photos are an important part of our community education, so to visit the Bush Telegraph web page and see a photo of 3,600 Koala pelts loaded on a truck in Clermont district Queensland: in 1927! Our Mt Gravatt Reserve was conservation protected in July 1893 and now, almost 120 years on, the forest is still recovering from logging.